I like stuff. In fact, I love having stuff. There, I said it. Call me vain, call me materialistic if you wish, but today I would like to explain to you why you may be incorrect in that assumption about my character. You see, as a millennial, I am constantly under a barrage of complaints about my generation. “Millennials are spoiled. Millennials have had everything handed to them. Millennials are too concerned with material possessions. Millennials are the reason we live in a culture obsessed with consumerism.” And the result of this constant litany of accusations is one thing: I feel guilty. I feel guilty every time I want to spend some of my hard-earned money on a new game that I think looks interesting. 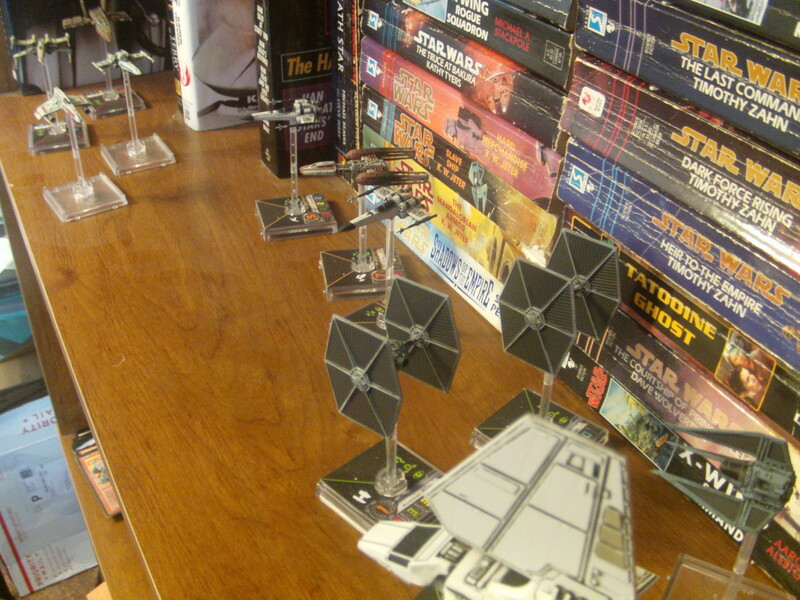 I feel guilty when I feel the urge to drop ten dollars or more for a new X-Wing miniature that will do nothing but sit on a shelf beside its comrades, slowly gathering dust. I feel guilty every time I add a new item to my Amazon wish list that is devoted to board games. What am I told I should do instead? I’m told that I shouldn’t value possessions. I’m told that I should get outside in the fresh air more and maybe exercise a bit. I’m told that life is not about the accumulation of material goods. Well, believe it or not, while I disagree with you on that first point (and begrudgingly agree with you on the second) I heartily agree with you on the third. Surprised? You shouldn’t be. You see, what I’m about to say might seem contradictory, but what it boils down to is this: in order to do what I do, I require things- material goods. This hobby that we enjoy is built upon exactly that- things. 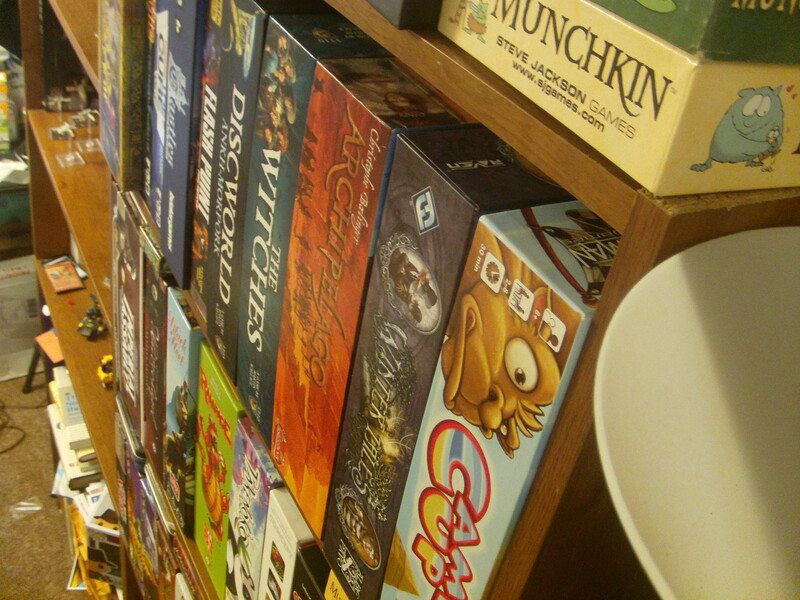 We cannot play a board game or a card game without physical pieces to move, dice to roll, or cards to deal out. We should not be made to feel ashamed of that, because it is the reality of the situation. 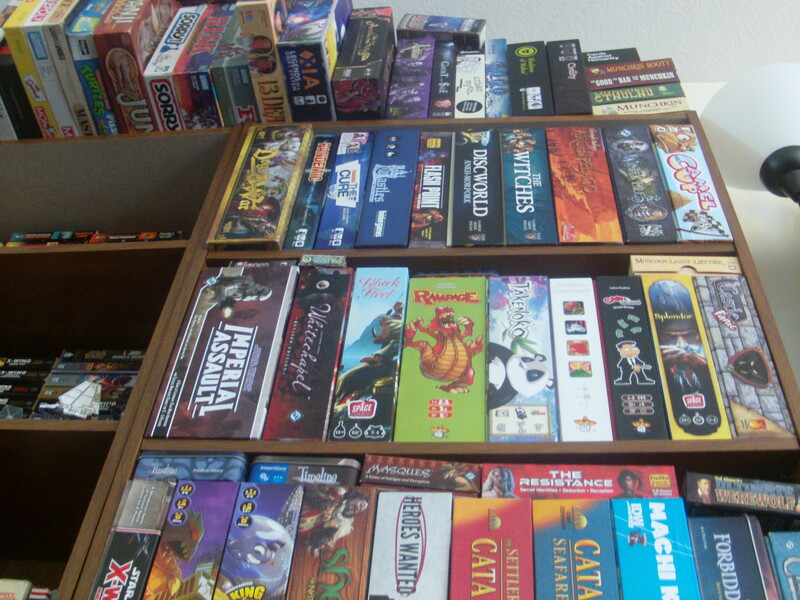 As we enjoy our hobby, we become exposed to more and varied games and our collection grows (sometimes steadily, sometimes explosively). Again, we should not be made to feel ashamed of this as it is part of who we are. So why do I not consider myself materialistic? I’ve admitted myself that I require material things- that in fact I love to collect them. Well, let’s take a look at what the word materialism means, shall we? A quick search of materialism in google will supply this definition: “a tendency to consider material possessions and physical comfort as more important than spiritual values.” Well, the fact of the matter is that I am not spiritual at all, so this definition doesn’t quite work in my case (although I realize that it does for many of you, dear readers and there is absolutely nothing wrong with that.) For me, though, instead of “spiritual values” I would like to substitute the words “other people”. I love my games. However, I do not love them more than other people. 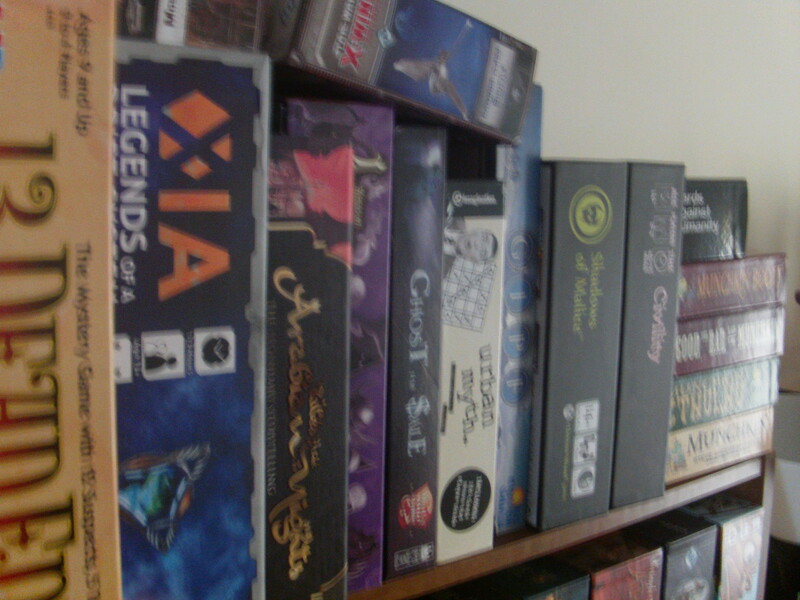 If a partner thought that my hobby was damaging to our relationship, I would not choose board games over people. 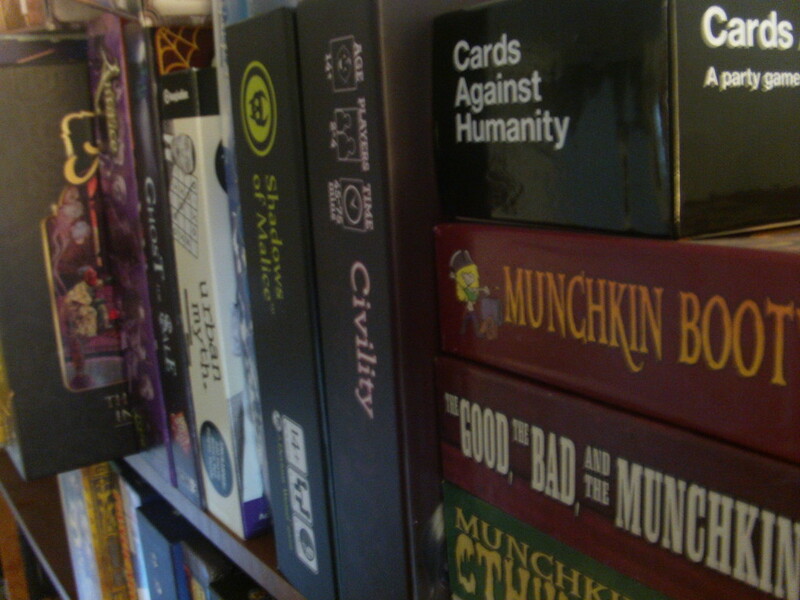 If I have to choose (as I so often do) between board games and paying the rent for the month to keep a roof over my family’s collective head, I would not choose board games over people. The question is, how much do you value your stuff?